Visit outside summer months and you’ll not only save money on your hotel, food and flight there, but you’ll also avoid the throngs of tourists that congregate on the coast during the summer. OK, so the weather won’t be as warm, but ranging between 7°C and 20°C, it’s still pretty mild. Unless you’re there in the middle of winter you should be able to enjoy meals al fresco, and the sea is usually warmer in the autumn. 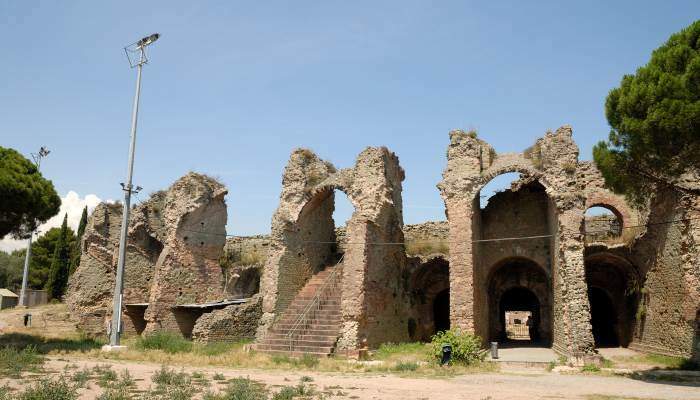 Also, with fewer holidaymakers around, you’ll have a bit more room to explore and spend a lot less time queuing. It’s nice to hire a car, and convenient too, but if you want to get more out of your money, consider using public transport. There are a few different options and they’re extremely cheap. Buses are run by different companies in each city, but many of them have one thing in common: a journey costs around €1.50, regardless if you’re going to the end of the road or the edge of town. If you’re planning on using the buses frequently, you can buy a 10-journey pass for €10 or a weekly pass for €11. 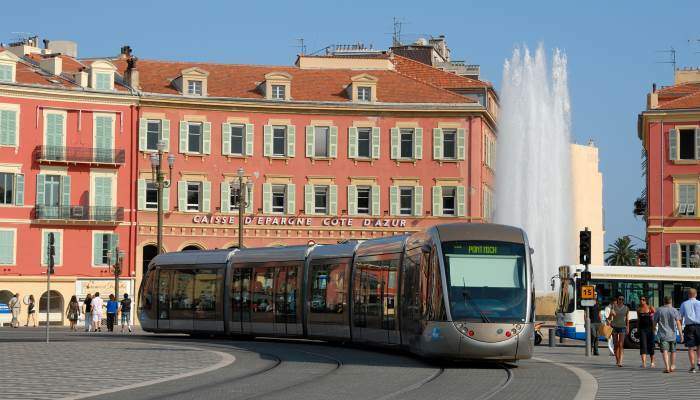 There’s also a tram that travels through the centre of Nice from 4am – 1am the next morning, and, again tickets only cost €1.50! 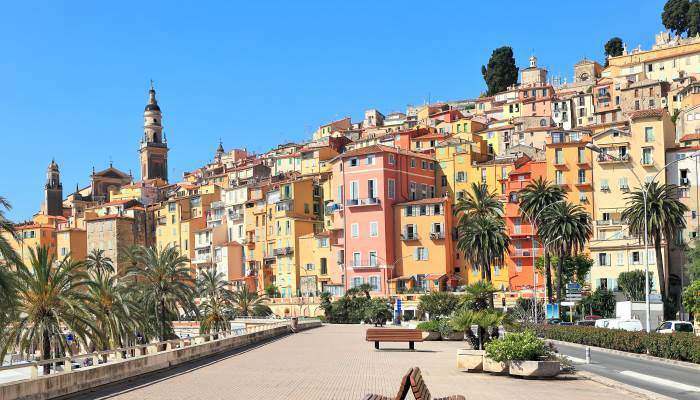 If you’d prefer to travel by train, SNCF run return journeys between Cannes and Monte Carlo from only £15 and between Cannes and Nice from £9 return. That’s pennies compared with the price you’d spend on a car, plus you’ll get some pretty nice views on the way instead of a headache trying to work out if you’ve missed the turning. You can rent a self-service bike from one of the bike stations dotted around Nice, Cagnes-sur-Mer and Saint-Laurent du Var. Buy a day pass for €1 or a seven-day pass for €5 and use any bike in the city as much as you want for that period. You can also be a casual user and cycle every now and then for half an hour for free! The minimum age for use is 14. Try and find a holiday deal that includes breakfast or some other meals so that you don’t have to splash out on restaurants for all meals. Alternatively, you could look for a self-catering option and cook some of your own meals. Supermarkets like Carrefour and Casino are major chains and are worth trying out for an inexpensive food shop. Instead of throwing money at expensive lunches, grab a sandwich at a boulangerie. Then go all out at dinner, that’s how the French do it after all. If you want to save money on eating out for dinner, try and stay away from the beach-front restaurants because you’ll also be paying for the view. And that won’t fill your rumbling stomach. This one won’t be difficult; spend a lot of time on the beach. However it may be worth noting that renting sun loungers and umbrellas can be quite costly (around €15 for a lounger and €5 for an umbrella). So if you want to save money, go without. Voilier beach in Nice is free to enter but, alas, loungers aren’t cheap. Every Wednesday there is a party hosted by the Voilier Plage beach restaurant and you can gain access to it by buying a drink. Plage de la Gravette lies on the outskirts of the old town in Antibes, and you can see the walls of the town from the beach. The soft, white sand and balmy water makes this a favourite with the locals. As does the fact there are public toilets and showers. Plage du Midi in Cannes is a child-friendly beach and its waters are safe to swim in. There’s a children’s play area, showers, toilets and lifeguard onsite, and there’s usually a volleyball game going on too. A visit to Colline du Chateau (Castle Hill) in Nice is free, and this is where to go for amazing panoramic vies of the French Riviera. It’s a bit of a climb up but definitely do-able, and if you don’t want to break a sweat, you can always take the lift up. 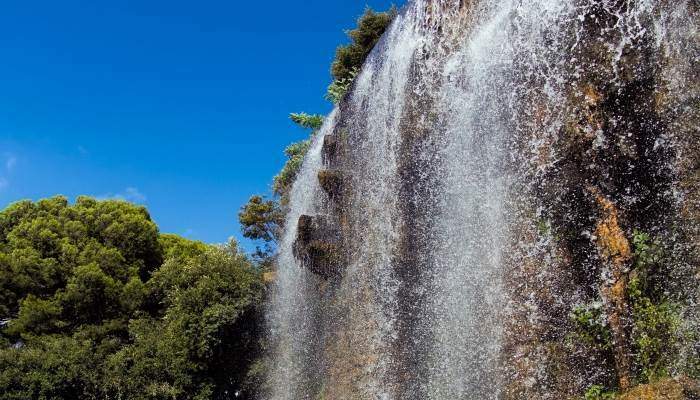 At the top you’ll find a beautiful waterfall, a playground and some charming gardens. If you’re travelling to Nice, this is certainly one to add to the list of things to do. 136 acres of lush greenery make up these beautiful gardens. Admission is free and it’s open daily. 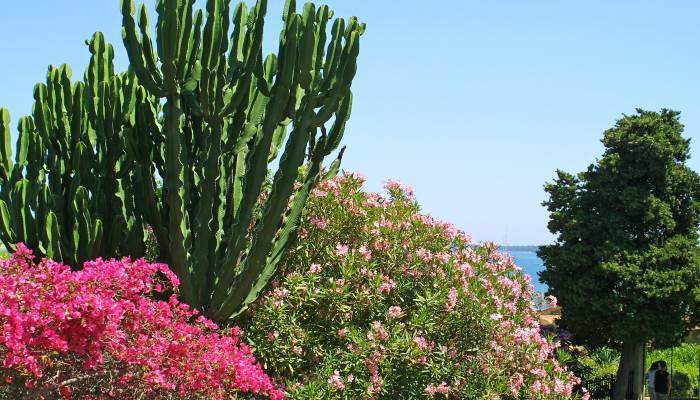 If you want to make the most of your time and the activities and attractions on offer, buy a Cote d’Azur card. It will grant you access to hundreds of attractions – museums, activities, boat trips and bus tours throughout the Riviera in towns including Nice, Cannes and Antibes. a three-day pass costs €39 and a six-day pass costs €54. This small fishing town is famous for its dramatic, limestone cliffs and the pretty, pastel-coloured houses that line its shore. 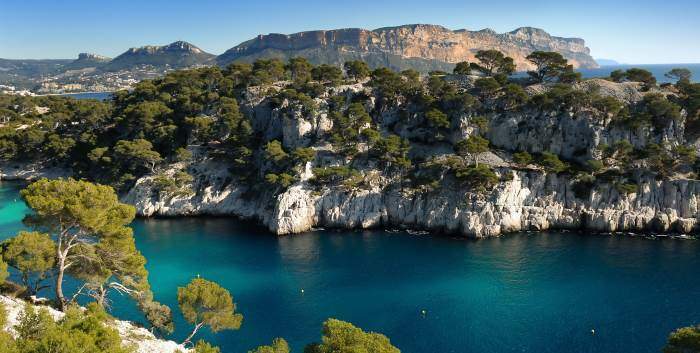 The rugged landscape provides hikers with scenic walks, and close by you’ll find some calanques which look a bit like fjords, but were shaped by the azure sea water below rather than tonnes of ice. This medieval town lies between Cannes and St. Tropez. While it is smaller and more laid-back, it still has its fair share of hotels, restaurants and bars to encourage a healthy influx of tourists during peak season. And these tourists know what they’re doing – with such glamorous neighbours, stay in more affordable accommodation here while still being in reach of a glitzy day out. This undeniably attractive town is nicknamed The Pearl of France, and borders Italy. The climate is warmer here, and the town is littered with orange groves. Lemon is the town’s national fruit, and every February, there’s a lemon festival to celebrate the tangy citrus. Here you’ll find sandy beaches, an ornate cathedral and a church that looks like it’s been taken straight from St. Petersburg. It may be an obvious thing but try and go for three-star or less hotels. If you really want to see and experience the Riviera, you’ll need the extra cash for the fancy meals and champagne you’ll be popping, not for the Egyptian cotton pillow cases and duck feather duvets in your room.